For many of us, a home will be the largest asset we ever own. If you plan to stay in your home long-term — perhaps even to retirement and beyond — it can provide you with help for your finances. While home ownership isn’t my preference, I do know that, with the right planning, long-term home ownership can benefit you during retirement. If you want to stay in your home as long as possible, it can offer you a paid-for place to live. If you have paid off your mortgage by the time you retire, you won’t have to worry about paying a monthly cost for your living space. This can offer you a big savings during retirement, especially if you live in an area where rents are high. You still have expenses in this scenario. You will still need to pay your property tax bill, and you’ll have to worry about utilities. Maintenance and repair will also be ongoing costs. However, you’ll still have one less thing to worry about if you don’t have to pay for the actual living space. Owning your home also offers you other options. You can rent out part of your home to cover other living costs, or you know that you will be able to sell the home or access the equity in some other way if you need to down the road. 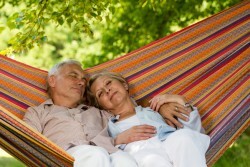 Many retirees choose to downsize during retirement. Your home can be instrumental in the success of this operation when you sell it. If you have built up equity in your home (and especially if you have paid off the mortgage and truly own it), selling provides you with a large chunk of capital. You can use this capital to buy a smaller, less expensive living space, or you can invest the capital, boosting the size of your portfolio. This can lead income that might be enough to help you meet your needs during retirement. If you decide to downsize, you will also likely need to sell the contents of your home. This can provide you with even more capital. Many retirees find that selling their homes and possessions can provide enough money to live on if they move to a country with a lower cost of living. There are a number of retirees in Central and South America, and in Asia, that enjoy a high standard living just using the results of the capital from selling their homes. 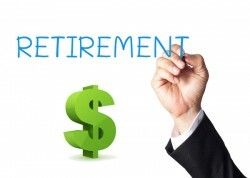 There are some retirees who discover that a few bad years in the stock market have depleted their principal. In order to avoid cutting back a great deal, many retirees who have a lot of equity in their homes choose to get reverse mortgages. A reverse mortgage is a type of home equity loan aimed at retirees. Reverse mortgages aren’t meant to be repaid while the homeowner is in residence. Instead, the reverse mortgage is repaid when the home is sold after the owner either dies or moves out for the long-term. If you are careful to get a reverse mortgage through a company that works with the FHA, there are certain protections available to you. It’s important to be careful with a reverse mortgage, however. The fees and interest charges are often very high, so you might not be able to borrow as much as you would like. You should also understand that, if your estate can’t pay off the loan, or if your heirs can’t afford to buy the home, you won’t be able to leave it to your posterity; the bank will get it. Your home does have the potential to provide for you during retirement. Consider your goals, and consult with others on the costs associated with each option, and take the path that works best for your situation.